Smartphone manufacturers from India, Micromax has recently showed a surprise by presenting its first smart phone wrapped Cyanogen named Yu Yureka. Not only equipped with a capable hardware specs, Yu Yureka also priced at an affordable price, which is only Rs8999, equivalent to US $ 143. 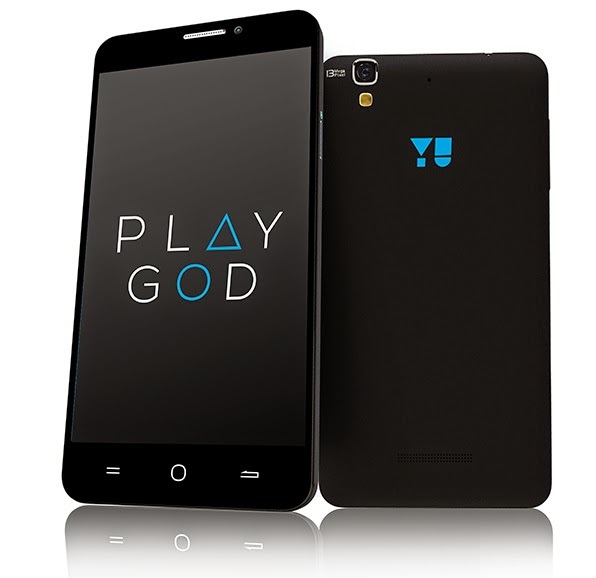 Under the slogan "Yu Play God", the smartphone is presented to give full control to the users. Therefore, support CyanogenMod Android operating system plus also become one of the added value of this smartphone. In addition, in the top 10 handset manufacturers world, Micromax also has an exclusive partner with Cyanogen developer based in the United States. Marketed by the method of "flash sale", Yu Yureka scheduled to be sold by Amazon India Micromax by cooperating. Register at Amazon India was opened since December 19 last and sales process itself will take place on January 13, 2015. Pertaining to the specification are pinned, Yu Yureka predicted will be a tough competitor Redmi Note that developed by Xiaomi or OnePlus One. This smart phone will have a 5.5-inch 720p IPS display protected by Gorilla Glass. This smartphone has been equipped with octa-core Snapdragon processor SoC 615 64-bit 1.5 GHz. To support graphics, Micromax equip Yu Yureka with Adreno 405. In addition, the smartphone is also equipped with 2 GB of RAM and 16 GB of internal storage berkapaistas. If the storage medium is less, Micromax has also equipped with a microSD Yu Yureka which has the ability to accommodate up to 32 GB of additional data. Then, how to support the camera? No kidding, Micromax arming Yu Yureka with 13 MP main camera plus Auto Focus which is also equipped with Sony's Exmor CMOS sensor. While the front camera, the smartphone is only equipped with 5 MP sensor. In addition to support for Bluetooth 4.0 and Wi-Fi 802.11 b / g / n, this smartphone also brings the use of Dual Sim Card (Micro Sim Card 4G and 3G). This smartphone is also equipped with a capacity of 3000 mAh battery which is claimed to last up to 8 hours in normal use and in standby up to 310 hours. If it is used to play videos or playing games, Yu Yureka battery can last between 4 to 6 hours.